A woman in the audience says that even before she read Tolle, she had come to believe that Christianity is about “Christ consciousness,” and that to be “fully human” is to be “Christlike.” She believes this is what Tolle is teaching. 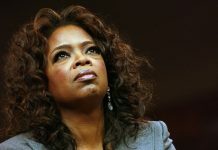 Oprah responds, “Yes, I’m Christian, too, and I got that a long time ago. I mentioned this also that in this book called Discover the Power Within You, by Eric Butterworth, where he talks about the Christ Consciousness. There is applause and then a commercial break. 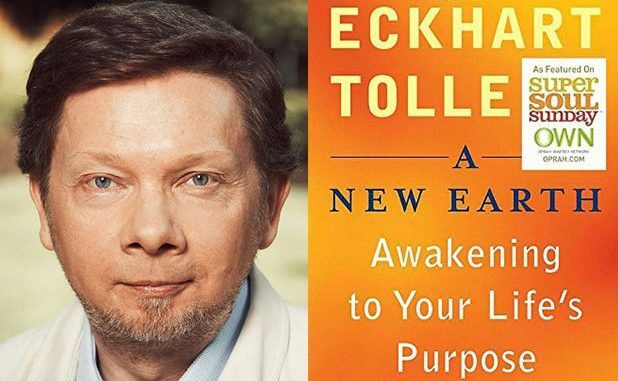 By Marcia Montenegro| Eckhart Tolle’s bestselling book, A New Earth: Awakening to Your Life’s Purpose(NY: Plume/The Penguin Group, 2005), gained high profile when Oprah Winfrey initiated an online study of the book in March 2008 with Eckhart Tolle and Oprah hosting. A New Earth sold more than 3.5 million copies in the first four weeks after it was added to Oprah’s book club. The online group reportedly involved 2 million people. 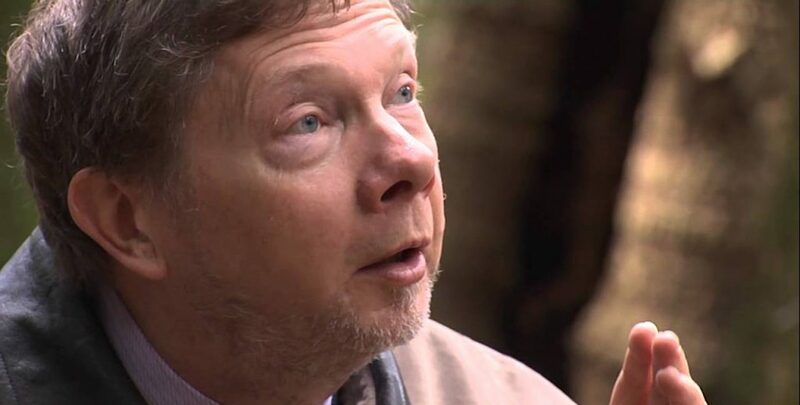 Eckhart Tolle lives in British Columbia with his girlfriend, Kim Eng. I was involved in the New Age for most of my adult life and the beliefs in Tolle’s book are nothing new. This book could have been written 20 or 30 years ago – and did appear then, just under different titles and names. Tolle puts some of his own spin on certain teachings, but basic Eastern and New Age views are there. As I read this book, it was like going back in time. You identify with your ego, which brings you sorrow and pain, but you are not your ego and you are not your mind. Sin is forgetting that you are connected to the “Source”. You are deluded by identifying with “form” when actually, you are timeless “Presence;” you are formless “Being;” you are eternal “I Am”. You need to “awaken” to this true identity and be free of the ego and the mind so you can be your true Self, “formless Being”. Jesus was highly evolved man who realized these things and this is what he came to teach us. 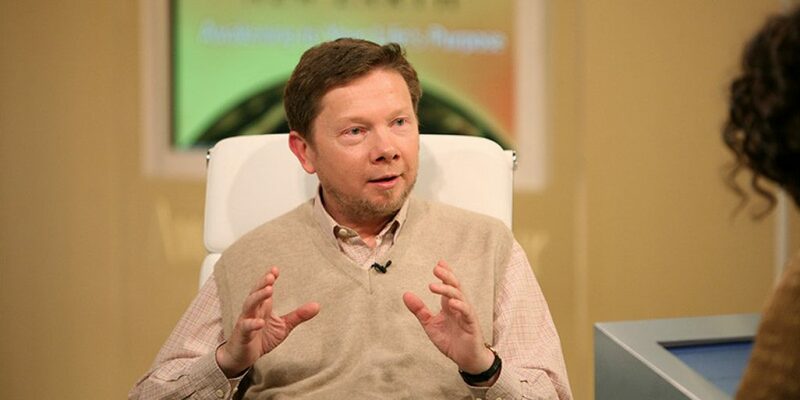 I believe that a Buddhist worldview underlies Tolle’s book, although he uses different terms. This Buddhism is integrated with New Age fundamentals, which necessarily incorporates elements from New Thought and Gnosticism. 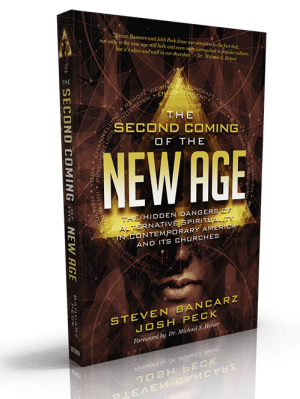 The New Age is always a blend of beliefs; intermingling strands from Eastern accepted wisdom, New Thought, Gnosticism, the occult, and even Christianity. It uses terms from these beliefs but often changes the meaning, especially with Christianity, adding in other concepts along the way. God is one with the universe or is contained in the universe. Everything came out of God. We are pure eternal spirit, and come from God, and/or are pieces of God or are expressions of a divine being, and will return to God. God is usually not personal but is described as Intelligence, the Source, the One, the Divine, Consciousness, the Universe (Tolle uses “consciousness,” “Being,” “Presence,” “Source”) or variations of these. God emanated beings from himself in order for God to learn or experience something, and/or to experience him/herself in material form. We are trapped in our bodies and in a material existence; the world we see and our bodies are illusions or temporary forms that serve as vehicles for our eternal spirit. We are always evolving toward our purpose (usually through reincarnation), which is to awaken to our true Self, which is part of God or an expression of God. We must awaken to our true nature and reality by transcending the mind; thinking is a barrier to this awakening. Everything has a vibration; vibrations are higher or more spiritual the closer one is to realizing the true Self. Jesus was an advanced spiritual teacher, a highly evolved man who realized his true Self – the Christ Consciousness – a consciousness we all can attain. We have the ability to create our own reality. There is no sin, or sin is redefined as identification with the false self (or with form) and/or as a belief that we are separate from God. There are variations on the above, which are also very close to New Thought principles and to some Gnostic views. All the views above are embedded in some form in Tolle’s book. All is Buddha nature (Tolle uses terms such as “Being” and “Consciousness”). Humans are trapped in material form and identify with it as who they are. We identify with our selves as who we are (Tolle uses the term “ego” for self) but the self is a mere construct, a result of experiences, sensations, feelings, and thought. Liberation is realization that we have no self, only Buddha nature; this realization comes about in part over time (reincarnation, though it differs from Hindu reincarnation concepts) and through techniques that cultivate detachment, a nonreaction and nonjudgmental attitude toward feelings, thoughts, and events. Tolle believes that we are at the edge of a spiritual awakening (5). This has been the mantra for the New Age since the 60’s. The belief that the Age of Aquarius is upon us is part of this teaching. As a former astrologer, I am familiar with this idea: Man is constantly spiritually evolving, and the Age of Aquarius signifies a revolutionary step in man’s progression. Aquarius is the sign of innovation, invention, as well as revolution (among other things). This awakening is what is creating the new earth and a new heaven. The new heaven is an “awakened consciousness” and the new earth is its “outer reflection” (308). For Tolle, spiritual awareness/awakening is to see who you really are – the ultimate Truth (71). You are not who you think you are, some limited human being, but actually you are spirit, you are “Being” (God). Sin is forgetting that you are connected to the “Source” (22). The problem is that you are identifying with form (which is Tolle’s definition of evil) and with the ego, and your thinking needs to be changed. Tolle tells us that identifying with what he calls “little me” is “an illusion that obscures our true identity as timeless and formless Presence” (140). You are “the underlying I Am” (242-43). This philosophy is also found in New Thought (see CANA articles on The Secret to read about New Thought), the beliefs espoused by Eric Butterworth, one of Oprah’s favorite authors. New Thought followers define sin as believing that we are separate from God, or from the Divine Source. We are to change our thinking and realize we have come from God (or Being, Universal Intelligence, the One, the Source, Divine Mind, etc.) and are part of God and will return to God, thereby attaining “Christ consciousness.” According to New Thought, this is what Jesus came to do. Tolle echoes this. But Tolle’s ideas also reflect Gnosticism. Basic Gnostic credos in the 2nd century held that man is emanated from God and is spirit, trapped in a body; liberation begins upon realization of this truth. But this teaching is only for those who are ready for it; it is esoteric, a secret teaching. As Tolle writes, his book “can only awaken those who are ready” (7). Will this book “awaken” you? For all his talk against the ego, Tolle maintains that his book will cause a “shift” in your consciousness and that his book The Power of Now or other “transformational” book can also start the process of awakening (7). This is pretty big claim – that your book can initiate the process of awakening! But Tolle sees himself as a spiritual teacher (274) and apparently has no problems believing this is his role. Tolle assumes that he is enlightened enough to give advice to others, and apparently expects others to accept this without question. But we should ask: Why should we accept that Tolle is the “enlightened” author? On what basis is he a spiritual teacher? Earlier in the book, Tolle says that “sin” means “to miss the mark” in Greek, which is true. But what is the mark? According to God, the mark is the standard of a perfectly righteous God. God revealed his character through the Ten Commandments, a standard so high man could not keep it. This was to teach people how far off the mark they are. Jesus pushed this home by pointing out that calling someone a fool is a form of murder, or lusting after a woman is like adultery. Jesus was revealing that nobody can follow the Ten Commandments; no one is without sin. The Ten Commandments were meant to be a tutor to lead people to Christ (Galatians 3.24), so that we can “be justified by faith,” not by works, because no one can keep God’s law. The angel Gabriel declared to Mary that she would bear a son and “you shall call His name Jesus, for He will save His people from their sins” (Matthew 1.21). This was the mission of Jesus: not to save us from an illusion of a false self, but from sin. And sin as God describes it is clearly that which is in man that is in rebellion to God. Jesus agreed with this, many times affirming the Hebrew Scriptures (Old Testament) as God’s word. Man’s natural self is the sin nature, in need of a Redeemer. We cannot match the standard, or mark, of God. But Tolle believes that man is basically good since he is part of God (13). He asserts that we are all “I Am,” “consciousness” (which he equates with the word “God”) expressed in form. “When I no longer confuse who I am with a temporary form of ‘me,’ then the dimension of the limitless and the eternal ‘God’ can express itself through ‘me’ and guide ‘me,'” declares Tolle (251). And “God ….is formless consciousness and the essence of who you are” (219). This is the spiritually lethal premise of the book. When he describes the failings of the ego, he is describing man’s sin nature. But since Tolle believes man is essentially divine, he separates our failings from who we are by claiming that we are not the ego, thus divorcing the sin nature from man. “…for this is My blood of the covenant, which is poured out for many for forgiveness of sins” (Matthew 26.28). “Therefore I said to you that you would die in your sins; for unless you believe that I am He, you will die in your sins” (John 8.24). “Jesus answered them, ‘Truly, truly, I say to you, everyone who commits sin is the slave of sin'” (John 8.34). Tolle writes, “the notion of ‘my life’ is the original delusion of separateness, the source of ego….I don’t have a life. I am life…How can I lose something that I Am?” (128). 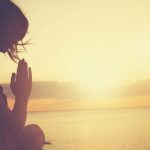 By using the phrase “I Am,” and capitalizing the “Am,” Tolle seems to be suggesting, along with other things he states, that we are all divine. God gave his name to Moses as “I AM,” a term that indicates God as eternally living and active, in stark contrast to the localized pagan gods with proper names who were worshiped as idols, dead and lifeless in their stone and metal statues. Man is not God but is to submit to God, but we rebel against this, wanting to go our own way, formulating a god we are comfortable with, one that does not judge our moral failings and who is a vague cosmic force that we are part of. In contrast, Jesus modeled submission to God’s will many times over on earth, so men could see this as a pattern for what God desires from them. Tolle quotes the Bible often and refers to Jesus frequently, but he takes most of it out of context, and/or he puts his own meaning into the biblical text. There are so many examples of this, I can only discuss a few. 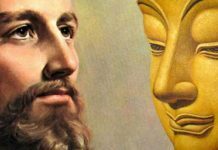 Tolle rejects the historical Jesus of the Bible, and recasts Jesus as an enlightened, awakened teacher like Buddha. 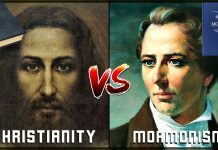 This comparison could be torn from the page of many a New Age book. In doing this, Tolle completely erases the context of Jesus as the prophesied Messiah. Tolle declares that Eastern enlightenment and liberation are the same as salvation taught by Jesus. To say this is to ignore and do violence to the biblical text and ignore the teachings of 2,000 years of Christianity. Salvation is not a matter of realization of one’s inner divinity; it begins with the opposite — a realization of one’s sin nature and the need for redemption. Salvation results not from a change in awareness but from repentance, turning from sin to faith in Christ. Tolle declares that when Jesus said, “I am the Way, the Truth, and the Life” (John 14.6) Jesus was saying we are all the Truth (71). This is astonishing because this is not in the text at all. 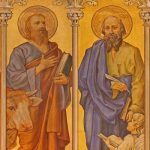 If anything, Jesus was saying the opposite: He was claiming to be the prophesied Messiah, the Redeemer, the unique Son of God (which means he had God’s nature), and the only way to God. Tolle ignores the rest of Scripture about man falling into sin, the resulting separation from God through this sin, and the theme of the Hebrew Scriptures about man turning away from God and in desperate need of a Redeemer. Tolle also avers that when Jesus said, “Deny thyself,” he meant, “Negate (and thus undo) the illusion of self” (79). Of course, even a schoolchild looking at the context of this comment (Matthew 16.23-25) can understand this is not what Jesus meant. Jesus said, “If anyone desires to come after Me, let him deny himself, and take up his cross, and follow Me” (16.24). Jesus is speaking to his disciples and goes on to say that some may lose their lives for believing in Jesus, but that in doing so, they are saved. That is, belief in Christ brings real life, eternal life, even if physical death comes. This is supported by other statements from Jesus. Jesus never said anything about the “illusion of self”, nor did he even hint at this. Tolle is reading his own meaning into the text and thereby doing it a grave injustice. Would Tolle want his readers to read his books this way? Should we ignore the points he is clearly making and put our own meaning into it, unsupported by the text and context? Tolle writes that what Jesus means by “eternal life” is that one can awaken to the “dimension of the formless within yourself” (81). Naturally, Jesus never said or taught this. Jesus was quite clear about what is in man: “But the things that proceed out of the mouth come from the heart, and those defile the man. For out of the heart come evil thoughts, murders, adulteries, fornications, thefts, false witness, slanders” (Matthew 15.18, 19). Early in the book, Tolle declares that heaven “is not a location but refers to the inner realm of consciousness” (23). He claims that this is what Jesus taught but there is no evidence for this. The Kingdom of heaven was among men, or in their midst, because Jesus was there as the Messiah, and they should have recognized him. According to the book, “The man on the cross is an archetypal image. He is every man and every woman” (102). But this is not true: no one can die for the sins of anyone else because no one has lived an unblemished life. Only a sinless life can pay the debt of sins of others. Jesus, who died at Passover, was the Passover Lamb, the Lamb without blemish. “Worthy is the Lamb that was slain to receive power and riches and wisdom and might and honor and glory and blessing”(Revelation 5.12). Tolle makes an amazing statement when he says that “at the heart of the new consciousness lies the transcendence of thought, the newfound ability of rising above thought” and we will no longer “derive [your] identity” from the “incessant stream of thinking” (21). And yet, what is this but a thought?! What is this whole book, but words and thinking? He also downgrades words to mere sounds (27), but of course, his book is in words! This is reminiscent of Neale Donald Walsch in Conversations With God, book one, in which he said much the same thing. Tolle asserts that paranoid schizophrenia “is essentially an exaggerated form of ego” (118-119). This will certainly come as a surprise to those who suffer from this illness, to those who care for them, and to the medical and psychiatric community. It is actually a cruel thing to say, especially in light of the fact that those who have this mental disease suffer horribly, and it is not in their control. Tolle criticizes the idea that anyone can think he is right, because being right means someone else is wrong. He states that “Being right places you in a position of imagined moral superiority […]” (67). So one must wonder, does Tolle think that what he is teaching in this book is right? If he doesn’t think it’s right, why teach it? What is true for us should be true for him. If he does think he is right, isn’t he being morally superior? Should we not ever think we are right about anything? Tolle discusses what he calls the “pain-body,” a term for the baggage of pain, disappointments, hurts, insecurities, unrealized hopes, etc. that we carry around. Many people will relate to this, but Tolle’s solution will lead them astray. The way to free ourselves from this, Tolle instructs, is to not identify with it, because we are not the pain-body, it is a “false self”(181). Identifying with the pain-body turns it into ego, and we start thinking this is who we are. Once we realize that we are not the ego and not the pain-body, “transmutation begins” into “Presence” (180, 182, 183). More boldly, after quoting from the Hindu Upanishads, Tolle declares: “God, the scripture is saying, is formless consciousness and the essence of who you are” (219). Tolle’s use of the term “Presence” is interesting in light of the fact that Eric Butterworth’s site (the Unity minister whose book impacted Oprah) has this statement: “The whole activity of God is present as a Presence, and is experienced as a creative flow. The whole Universe is concentrated at the point where you are. More than this, you are the Universe expressing as you. You are its living enterprise”. Tolle articulates this idea in his book as well. This also explains why Oprah is so comfortable with Tolle’s views. One of the ways to transcend identity with ego and the false self is to “let go of thought”, because “Thinking isolates a situation or event and calls it good or bad” (194-96). Tolle also instructs the reader to focus on the present moment, the “Now,” which is “the end of the ego” (200-201). In fact, Tolle posits that there is no real time, only an illusion of it (205). When we “awaken within the dream” and see who we really are, “This is the new earth” (210). Tolle’s depiction of the ego could be equated to the Buddhist concept of self, which is believed to be a temporary construct resulting from feelings, bodily sensation, memories, and thought. The cessation of identification with the ego and pain-body are principles of Buddhist detachment, a practice that eventually allows one to realize the self is not their true identiy. Believing that thinking is a barrier to the grasping of true reality is also a Buddhist concept. Buddhist meditation is practiced to stop the thinking and to go beyond judgment of good and bad. And Tolle’s “Being” could be the parallel to the Buddha nature, which is the ultimate and only reality in Buddhism. Tolle quotes many Zen Buddhists, and even uses the Buddhist terms satori (enlightenment) and “sentient beings.” His statement “Nonresistance, nonjudgment, and nonattachment are the three aspects of true freedom and enlightened living” (225) could be lifted from a book on Buddhism. Nonjudgment and nonattachment are elements of detachment, considered an essential part of realization of reality. There is indisputably a strong Buddhist worldview in this book, especially Zen. Tolle becomes increasingly Buddhist in the book, especially when he gives advice on breathing in Chapter 8. He says, “Being aware of your breathing takes attention away from thinking and creates space” (244). This is related to Buddhist meditation techniques. Buddhism teaches that the mind is in the way of enlightenment, and the meditation teachings about breath are a way to let go of thinking. Tolle attempts to equate breath with the “God within” (245) by quoting Genesis 2.7, which tells us that God breathed “the breath of life” into man. Of course, Genesis 2.7 is not saying that we are God; it is demonstrating that God, the Creator, created man from nothing and is the source of life for man. Like most New Agers with Buddhist worldviews, Tolle emphasizes being still. Tolle refers to a quote, though he does not give the source: “Stillness is the language God speaks, and everything else is bad translation” (255). Of course, where is the evidence for this? The evidence we have points to the opposite: God speaks in words. What we know about God’s character and actions come from words ? the Bible- and from the incarnation of Jesus, who also left us words. The reason stillness is so adulated by Tolle is because he believes “Thought is form” (256) and is thus a trap. “When you are awake,” writes Tolle, “you recognize yourself as the awareness behind it” (259) He adds, “Awareness takes over from thinking.” When you are aware, you “know the mind of God” (261). New Thought usually uses the term “Christ consciousness.” The techniques used to produce this kind of stillness, usually done through meditation, are one of the chief methods for altering one’s worldview. Tolle declares there are “Unconscious people ? and many remain unconscious, trapped in their egos throughout their lives” (186). Once again, we have the right to ask: What evidence is there for Tolle’s enlightened state, and what measure or standard is being used for this state? By what authority does Tolle make these pronouncements? Tolle writes, “Unhappiness or negativity is a disease on our planet” (213), but it is sin that is the disease, sin that began in the Garden with disobedience to God the Creator (Genesis 3). Sin brings unhappiness because it brings separation from God, and it is a trap we cannot escape from on our own; only by God’s grace through faith in Christ are we reconciled with God. 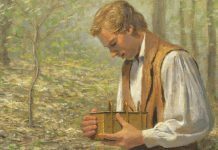 While Tolle is correct in asserting that clinging to things will not bring lasting happiness, his solutions are wrong because he denies sin as moral failure and even denies that men are creatures dependent on God. His skewed view of both God and man pollutes his view of everything else. Tolle is spinning tales from a warped piece of yarn, so every thread ultimately will end in a knot. Whenever a spiritual teacher claims that you are deluded, that you cannot trust your thoughts, that what you believe is real is not real, that he or she possesses teachings that few people know or understand, and these ideas are necessary for you to be free of pain and know God, then beware. These statements are the marks of esoteric systems that usually maintain that there are hidden meanings in the Bible, that the world is an illusion, that the truth is a secret only known to a few, and that you are not really human but godlike. In contrast, Jesus said he taught nothing in secret (John 18.20). God does not play games with us; Jesus did not hide his words in abstruse codes but made his meaning clear when the context is considered. 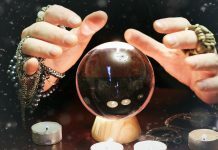 A New Earth has the potential to alter a reader’s worldview, especially if the reader utilizes the techniques suggested by Tolle, including his audio meditations and “Awakening Exercises.” These are not spiritually neutral tools. Applying Tolle’s advice will lead the reader not to a shift in awareness, but to a shift in worldview. The result will not be awakening, but rather blindness — blindness to the truth of who we are and what we need. I say this as one who formerly believed most of what Tolle is teaching, and who was blinded for many years to who I was and to who Jesus truly is. 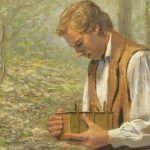 The real awakening is the acceptance that we are sinful creatures who need redemption, and that this redemption has been provided for through the atonement. The only book that awakens one to authentic reality is God’s word. The mission of Jesus was to come and pay the penalty for sins, the most important mission in the world, and yet Tolle overlooks this completely. Jesus did not come to destroy illusions but to atone for sins, which he did through unimaginable suffering, and through his victorious sacrifice and resurrection open the way for eternal life with God through faith. 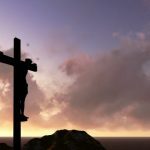 This article was originally featured on Christians Answers for the New Age and was republished with permission from the author. Next articleWhat Is It That Is Being Aborted?